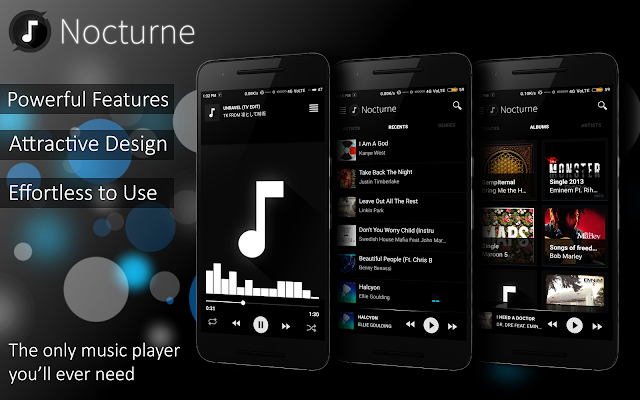 Nocturne Player | TechNarcs '+g+"
The one music player you'll ever need. Nocturne Music Player is an attractive and easy-to-use free audio player with lots of awesome features and easy navigation. Nocturne will change the way you look at music players with its stylish elegant dark theme, cool navigation style and amazing features. 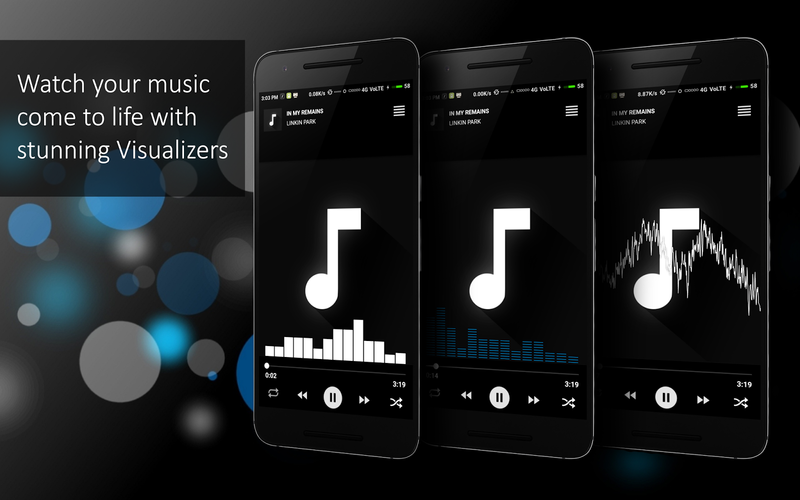 Packed with powerful features such as quick search, swipe gestures,equalizer(upto 6 bands and 10 presets), bass boost, 3 custom Visualizers, drag sortable playlists and effortless navigation, it is one of the best music players out there. The app uses Firebase analytics to gather some basic user data(default data collected by firebase) such as device id, usage time, country, app crashes etc. 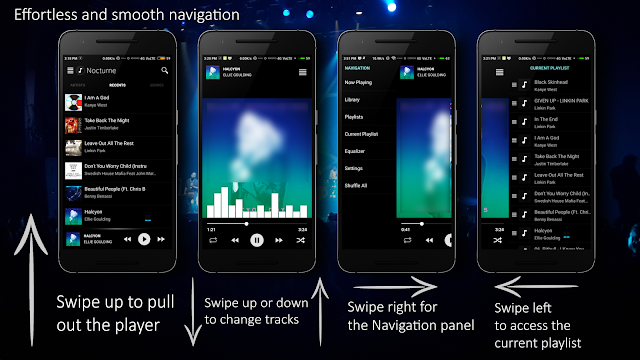 The sole purpose of this data is to provide better user experience and to monitor crashes and misbehavior. your privacy is extremely important to us. 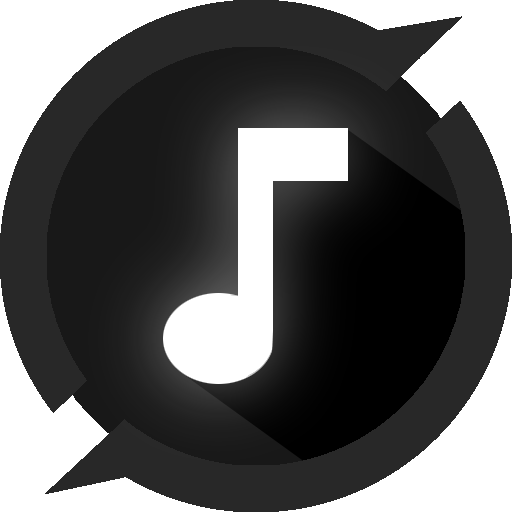 1. read phone state: auto-pause on the event of a phone call. 2. bluetooth: used for connecting with bluetooth devices. 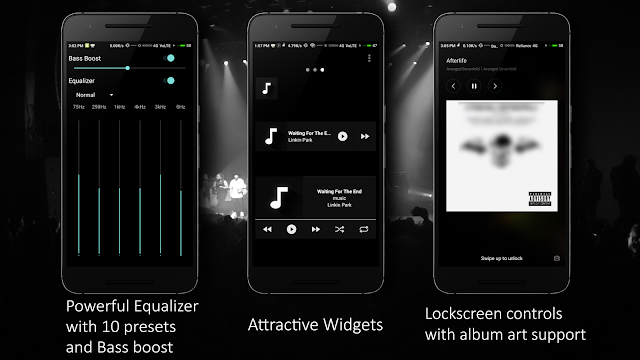 3. wake lock: prevent phone from sleeping during playback. 5. write settings, write external storage, modify audio settings: required for setting ringtones. 6. access network state: check for data connection. 7. internet: ads and analytics. Safe and easy disk partition tutorial for Windows: Manage your hard drive partitions using the best free partition manager | How to use AOMEI partition assistant? | Why should we have multiple partitions?